QUEENSLAND volunteer of the year Terry Ward says the golf industry would benefit from a volunteers program that compensates younger golf club members who volunteer their time. “Without volunteers, smaller golf clubs just won’t survive in today’s world because everything is so expensive. Terry says volunteers need to be recognised and rewarded for their efforts and cites an example initiated by Nambour Golf Club on the Sunshine Coast. “They have a beautiful volunteer system in place,” said Terry, who is a member at Pine Rivers Golf Club and secretary of the Sunshine Coast and South Burnett District Golf Association. “Every time there is a competition at the club the volunteers don’t pay the competition fees. “They put on a barbeque for volunteers, sponsors and their partners as a thank you. I think it’s magnificent. 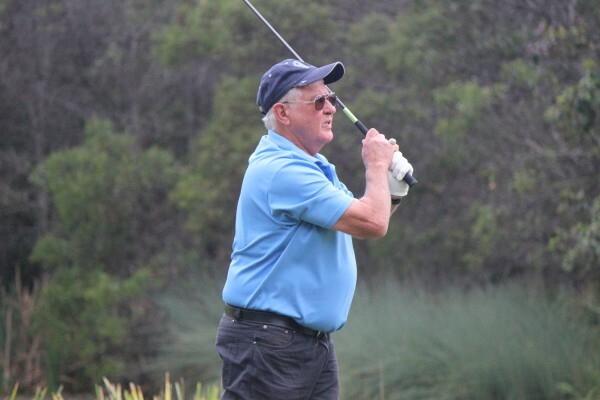 The 63-year-old was 12 when he first worked as a volunteer grounds person at Howard Golf Club near Maryborough, which has since changed its name to Burrum District Golf Club. “I have been a volunteer for 50 years and was brought up like that by my parents,” Terry said. “I was 14 when Don Stafford and I dug out and built the first sand bunker at Howard Golf Club in 1963. A retired Royal Australian Air Force man, Terry spends 30-40 hours each week helping the district, golfing zones and the district’s 34 golf clubs from Proston in the northwest to Kingaroy to the Sunshine Coast to a number of outer Brisbane northern suburbs clubs. It’s a vast area to cover, but he has never shirked the responsibility. His Air Force training has been invaluable as he helps clubs with administration and financial matters including Applying for grants and assisting with grant applications, assisting with junior programs and implementing junior scholarships, assisting clubs in the administration and financial fields as well as performing audits for clubs when requested and organising golf tournaments. Currently, Terry is working on the district’s new constitution and code of conduct. Junior golf is another area Terry takes a huge interested in, but he is concerned about the slow uptake. “Our junior numbers are dropping off,” he said. “Many parents fail to see golf is the most affordable sport there is for juniors. 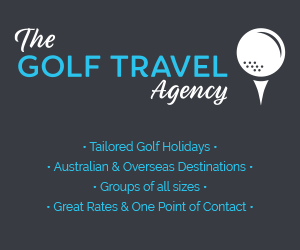 “Compared to soccer, rugby, AFL, cricket, tennis – golf is inexpensive. The amount of money those sports have to pay up front is unbelievable. “With golf, most clubs will let kids under the age of 14 in for under $100 a year. “We have to get the word out to parents and people that it’s a family sport and an affordable sport. “Trying to attract the kids, especially in the South Burnett, is difficult when football and cricket season is on. He believes the problem is worldwide. Still, Terry and a team of volunteers remain proactive running junior golf days, come-and-try golf days and print brochures for children to take home to their parents.